Chattanooga is getting a Daebak Korean Barbeque. 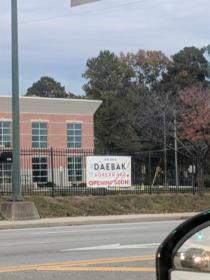 It will be opening soon near the new Publix at the Village at Waterside. The location is across Shallowford Road from the Hamilton Place area.